I missed last Monday so I am going to link up today. I hope I am doing this right because I am not sure if I am to just write about my weekend or write about celebrity gossip. This past weekend, asides from having to do some work at home, I completed my first order of crayon roll-ups. Technically, my first order was from my sister-in-law, she did pay me for it but my first "real" order is her friend who received one and decided she wanted to use them as birthday party giveaways. I made four last weekend and did the last three yesterday. They are really easy to make and I have pretty much got it down to a science. I plan to just make a bunch more when I have some more time so that if anyone wants to order them, they are ready to go. I have to admit, I am pretty proud of myself. In between making these roll ups, I had to attempt to make a plush robot that my godson/nephew Blake wanted. He and his mom found a photo of what he wanted and I basically had to figure out for myself how to put it all together. He has been asking me every week if I made it, I felt bad each time I had to tell him no. Luckily, his birthday party is coming up this weekend and the "yobot" below will be part of his gift. Since it's pretty small, I was too scared to sew up the pieces together with my machine so I hand stitched everything. It took me almost three hours. Man, I hope this kid like the robot. As Lin says, no fear is ridiculous, even if it's our own fear. I have some serious fears, which I don't think are ridiculous - cats, the dark, heights and knives but ridiculous ones...let me think. Flabby upper arms...I know, weird huh? I am not scared of them in general, I am terrified of my own arms becoming big and flabby. My husband says this is more vanity than a fear. I disagree. Subway grates...I cannot walk over them. I have to walk around them or jump over them. When Mike and I were in New York, he made me stand over one and I nearly broke out in tears in the middle of Times Square. Lately these days, I am not about buying the latest and greatest beauty products. I now tend to stick with what I know and what works for me. Ever since I got bangs, I stick to just eyeliner and a simple routine of concealer, bronzer and blush. And now that we are dead in the middle of winter, my dry lips only accept Vaseline. I want to share with you some of my current favorite beauty products. I'm sure this list will change once spring comes rolling around. 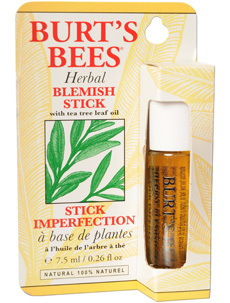 Burt Bee's Blemish Stick | this is the only product that will work to keep my blemishes/pimples from flaring up. I can't believe that I am in my mid-30s and still dealing with acne. I blame it on my teens and 20s, I seemed to have been blessed to not have to deal with acne then and now my face is paying for it. 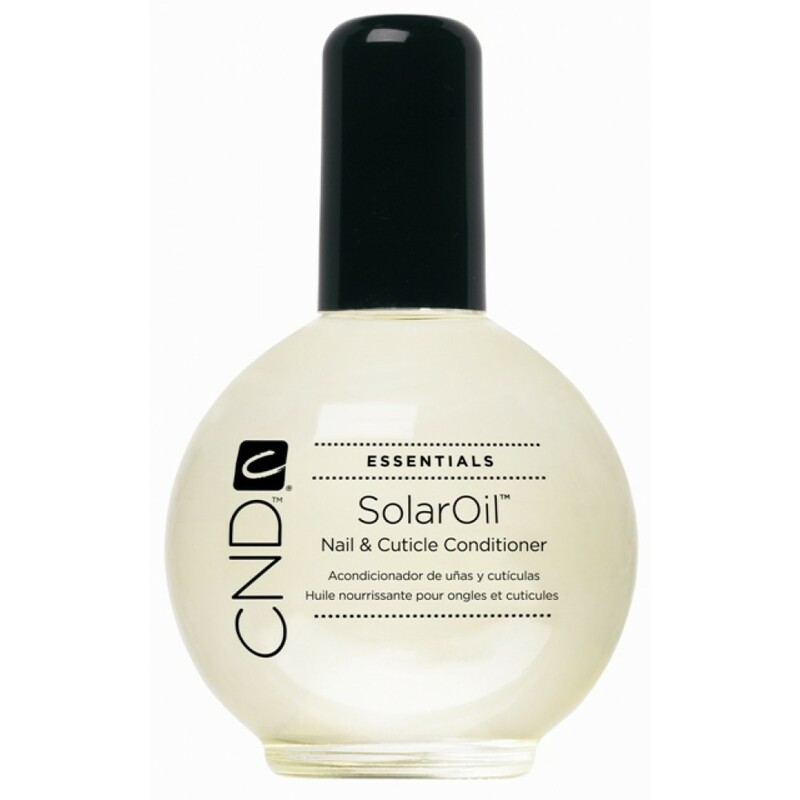 CND Solar Oil | since I have become addicted to Artistic Manicures (similar to gel polish/shellac), I have been told by my nail technician to use cuticle oil daily. I guess using olive oil helps but it doesn't do much compared to cuticle oil which has the right ingredients to keep your cuticles hydrated. I keep a travel size bottle in my purse so I can hydrate my nails when needed. 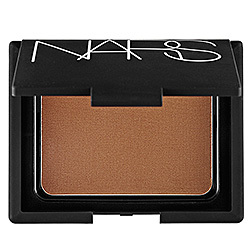 NARS Bronzing Powder in Laguna | when I came back from Punta Cana in December, I needed something to help fake the tan that was fading away. Luckily my friend Kat gave me a barely used one. Everyone loved my "tan", they said I was glowing but in reality, my tan had faded and I was faking it with this bronzer. 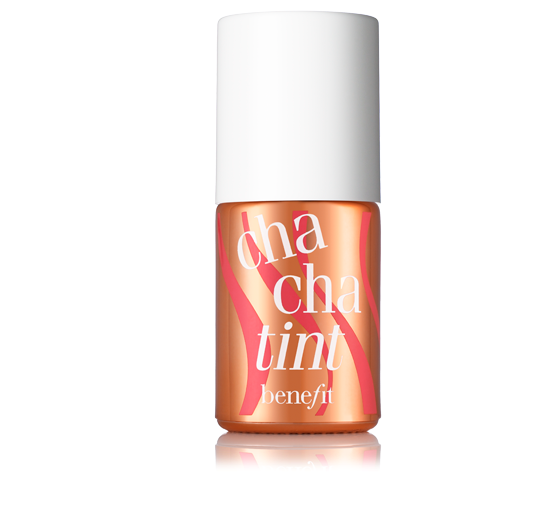 Benefit Cha Cha Tint | years ago, I was a cult fan of Benetint but since I am a sucker for anything coral, when this baby came out on the market, it was destiny for us to be together. I love the coral flush it brings on my cheeks and it was perfect with my tan. Be careful though, if not applied properly, your fingers will end up looking like an oompa loompa. Tip: apply with a beauty blender, you'll thank me later. 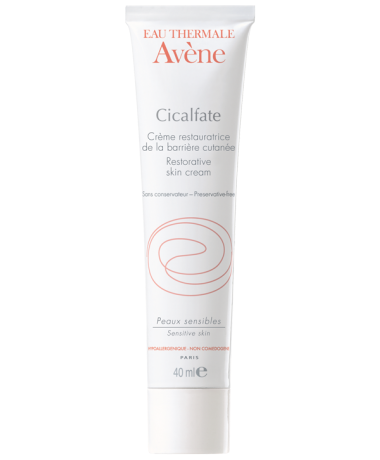 Eau Thermale Avène Cicalfate | I accidentally came across this product when I was dealing with a bad irritation above my upper lip. The skin was raw and red. A beautician at a drug store recommended this product to me and although, it didn't help the irritation, I have been using it as a face cream. It helps restore damaged skin and leave it so soft. What are some beauty products you are really into these days? I think I am in love this guy. Actually I am seriously in love with Josh Duhamel. I just finished reading the Nicholas Sparks book, Safe Haven and since I knew that Josh Duhamel would be starring in, I had no choice but to visualize him while reading. I can't wait to see the movie and even if it's horrible (The Last Song, Dear John - they are nothing compared to A Walk to Remember and The Notebook), I will just be happy to see Josh on the big screen. To me, he has the perfect height, body build, smile, hair, personality, etc. He is just perfect. Don't you think? I know that if my husband is reading this, he would probably roll his eyes. Don't worry Mike, you are like 97% close to being as perfect as him, lol! My life in the past month has been turned upside and it's all because of work. My favorite coworker upped and walked away without any notice. She had every reason to but it left my team and I in the worst possible scenario seeing it's our busiest time of the year. I've been going into work early, I've stayed late, I've brought work home and worked in the evenings and weekends. I'm spent, I'm done and I can't see the light at the end of the tunnel. I know that they are planning to hire someone but nothing has happened so far. So because of this, I don't really have a life. I'm too tired to do anything. My workout schedule has gone down the drain and my eating habits are at its worst. Hopefully I will get back on track soon. I've been able to at least catch up on some Oscar nominated movies - Les Miserables, Django Unchained, Silver Linings Playbook, Life of Pi and I still need to watch Thirty Dark Zero. Even with all these serious movies, I was watched Pitch Perfect and it was awesome. I loved every minute of it and it was totally not what I expected. I've been reading Safe Haven, the movie opens tomorrow and I want to finish the book before I watch it. So far, so good. It's your typical Nicholas Sparks book. I've got lots of books to read and hopefully I'll meet my goal of 15 books for 2013. I've become addicted to gel polish. I have been going to Polish'd Nail Bar in downtown Toronto - more on this in another post - and even though an artistic manicure is more expensive, it's worth it. It lasts close to three weeks, it doesn't chip and it dries instantly because it's cured with an LED light. 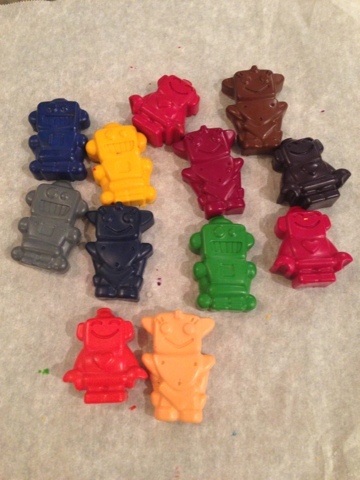 I made some robot crayons for my godson's birthday giveaways next month. I made over 140 crayons one weekend because I knew I'd be busy with work. That's about it for now. God, my life is pretty boring. I have some blog posts in mind but I just have to sit down and write them out. It's long weekend coming up so besides sewing and doing some cleaning up, hopefully I'll be about to get some posts out. I hope everyone is doing well. Drop me a comment and let me know how you are doing and what you are up too.